I offer animal professionals 40% off just about everything on this website and inexpensive imprinting of cards of all sorts. Discounts are not limited to pet-themed items. I’ve also designed a monthly sampler box focused on animal professionals and your clients too. Everything on this site is made from my original art or photo, all the feline art inspired by the cats I’ve rescued and fostered and lived with over the past three decades. My main muses are an incredible family of five black cats I rescued from a neglectful neighbor, and my ever-changing foster family provides lots of photos and paintings and ideas every day. Right now I volunteer with Pittsburgh’s Homeless Cat Management Team which provides TNR and low-cost spay and neuter to cats all over the Pittsburgh region and surrounding counties, and I foster for Pittsburgh C.A.T., the organization we formed to socialize and adopt out all the homeless kittens taken in through our TNR efforts, and with the municipal shelters who work with us. You can read more about my foster family on The Creative Cat under My Fosters, and you can read about the organizations on the page Donate for a Discount. 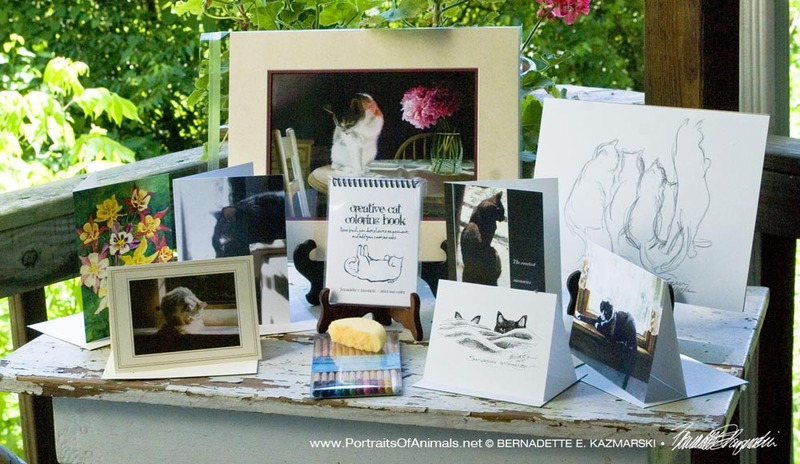 Even before I designed my animal sympathy cards I understood how important it was for those who work with animals and their people to have correspondence, wall art, office accessories and even apparel that reflected their business and encouraged their clients to feel welcomed and comfortable. 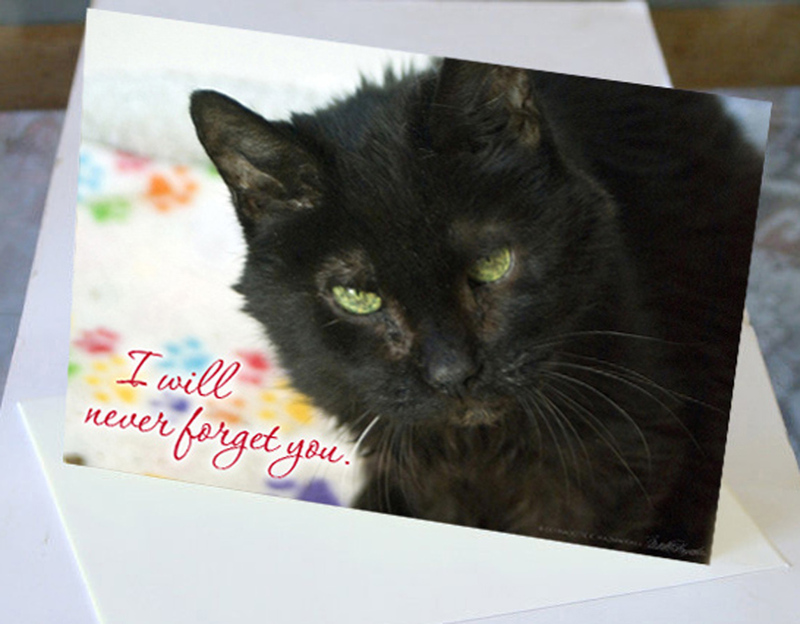 I also discovered after the losses of several cats that there were few animal-oriented sympathy cards available and friends actually apologized for some of the cards they sent to me. The role of our companion animals in our lives has been rapidly changing in the past decade, and as the art a culture produces is often the best historical document of what was happening in society at the time, animal art is even now reflecting our changes. 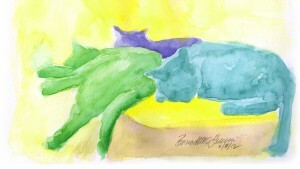 “Lazy Saturday Afternoon”, watercolor, 12″ x 9″, 2012 © Bernadette E. Kazmarski. A society of canine artists has existed since the 18th century, but there has never been one for cats. The Dog Writers’ Association of America was founded in 1935 and is well known for attending Westminster and following the show circuit and canine issues, yet when I say that I am a member of the Cat Writers’ Association the response is usually an amused, “Really? There is such a thing?” though it’s been around since 1992. After decades of rescue and foster and many, many visits to veterinarians and specialists, working with pet sitters and groomers, the pet cremation business owned by a friend and customer who also handles my cats, and shelters and kennels, and stores where I shop, I also understand being a client with cats visiting a practice and how important images are to the people who are there, waiting, often not in the best of circumstances, looking for a friendly face. 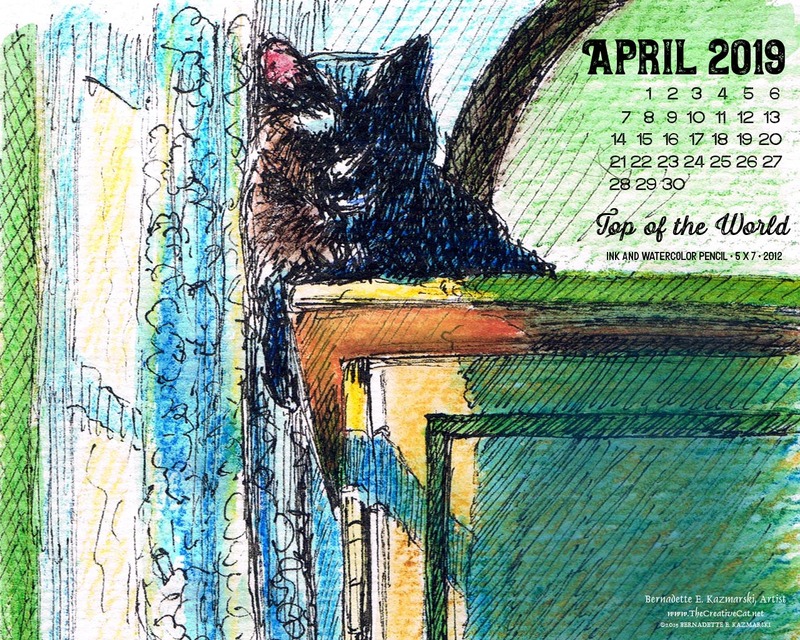 It wasn’t so long ago a popular local veterinarian had not even a doodle of a cat anywhere in his practice, but canine art on the wall, and galleries wouldn’t hang my cat art, just on principle. I have been a professional commercial artist and graphic designer for 35 years, and have been self-employed working at home since 2000. I began my career as a fine artist in 1987 by drawing my cats. While I also paint other subjects, including dogs—you can see dozens of fine samples of my canine art in my portfolio of portraits—and study and practice art all the time for both fine and commercial art projects, cats are my visual muse. I don’t constrain my cat art to any one style but take it from the most photorealistic scenes to nearly abstract sketches or multimedia, and all varieties in between; see my gallery of Daily Sketches for examples. I offer it not just as wall art but also as more utilitarian things like notebook covers, mousepads and fabric swatches as well as things I make by hand like keepsake boxes, tiles and tote bags. Those who work in animal services such as veterinarians, veterinary technicians, groomers and pet sitters as well as those who work with rescues and shelters qualify for the 40% discount. If you sign up for an account on this site I will give you a discount code to use in your shopping cart. It’s good on almost every item, excepting handmade goods and gift certificates. 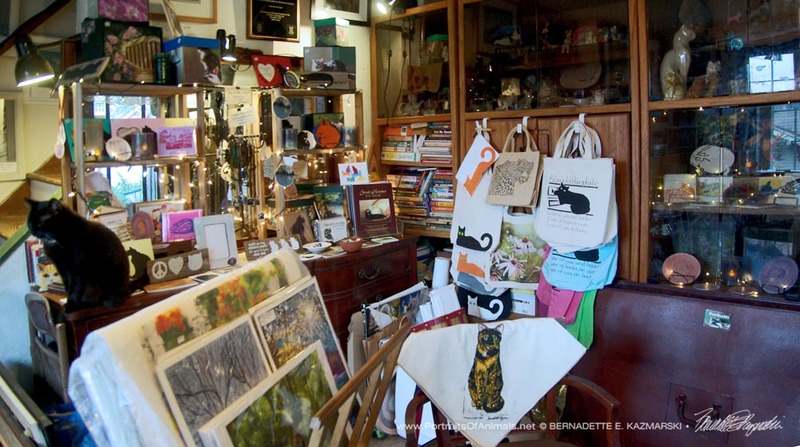 This applies whether you are using your purchases for use through your practice, or to sell at your practice—a display of feline-themed cards, for instance—or they aren’t related at all. Working with animals doesn’t always pay well, and sometimes it costs a lot, so it’s my way of giving back to others. Register an account with the link in the menu on the left and I will contact you. When you register I give you a yearly coupon code good at any time, and the system keeps track of your purchases so I can give you an additional customer loyalty discount for each $100 you spend. I will request the address of a website or Facebook page, or business form, letterhead or business card that has your name and your business or practice name. If you’ve registered an account I’ll then assign you to the Animal Professionals account group. If you want order once to sample the goods before registering for an account, just let me know and I’ll give you a one-time discount code to use. 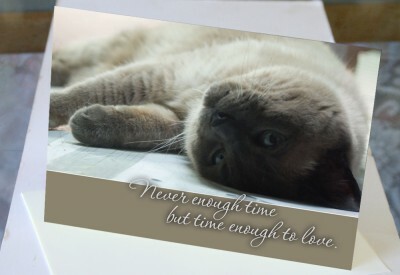 I had originally designed my animal sympathy cards for sale to individuals and to retailers, but almost as soon as I designed them in 2009 a feline-specific veterinary clinic found them. That clinic is still a customer and seven other veterinary practices also purchase quantities of animal sympathy cards from me two to four times a year; a dozen or so more purchase now and then. I’ve added designs to the original dozen dedicated to a few geriatric and hospice rescues who shared my life, and also added a few more of the cats who shared their lives with me. Because animal professionals generally purchase a quantity of cards at one time, I offer nearly all commercially printed cards on this site at 40% off the listed price for animal professionals, and you can assort any quantity of almost any card* to add to your order. *Hand-printed and handmade cards do not assort with other cards for a discount. In addition, you can have a black and white or color message added inside, including your logo with a good hi-resolution image, for $5.00 per dozen cards. You have the flexibility to choose from all the 5″ x 7″ cards on this site to assort for your order, even if you only want one card in a certain design, and you’re not limited to animal-themed cards. 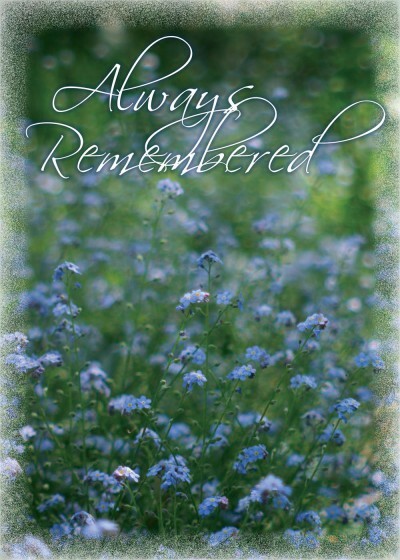 Not all of your clients are the same, and not every loss is the same, and sometimes giving a card that features an animal can be another added level to grief. 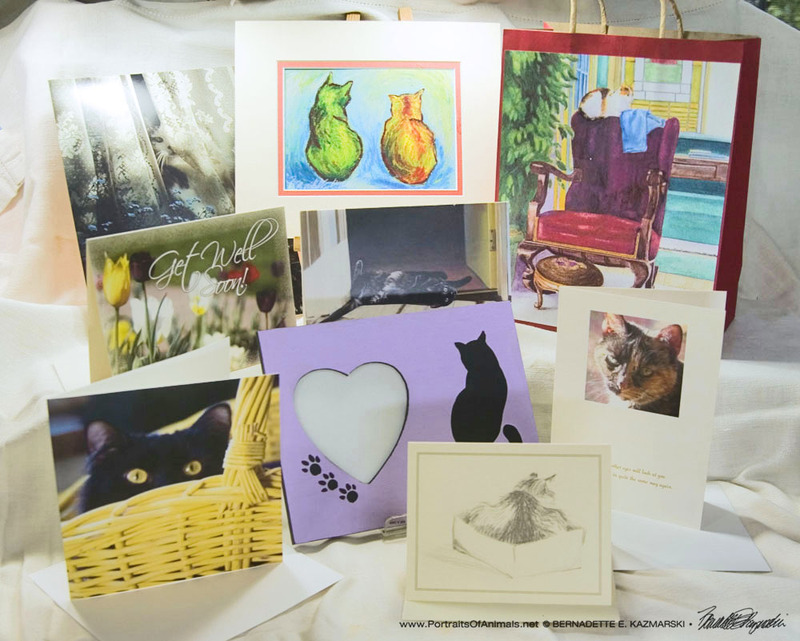 Most of the animal professionals who purchase from me choose designs not only from the cards designed as animal sympathy cards but from other sets as well—images in Feline Fine Art Cards, My Cats in the Sun notecards and Feline Sketches note cards are all popular too. 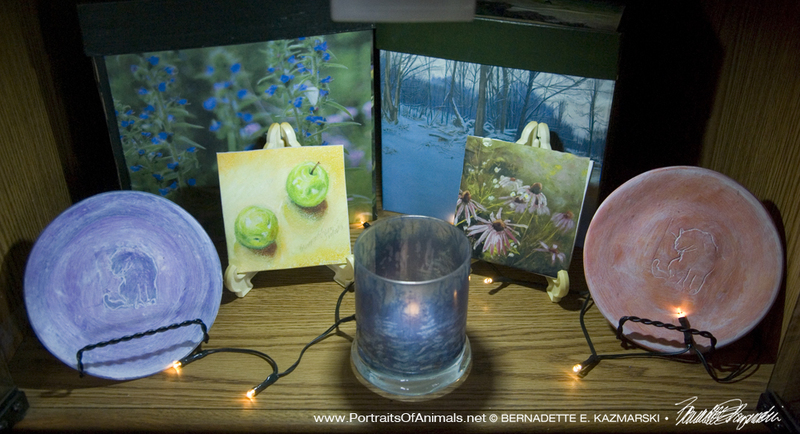 In addition, I have cards created from my photos and paintings of my ramblings in nature with Inspired by Flowers greeting cards and In the Garden fine art cards and Today, a line of photographic cards named for my years-long habit of sharing at least one photo each day. 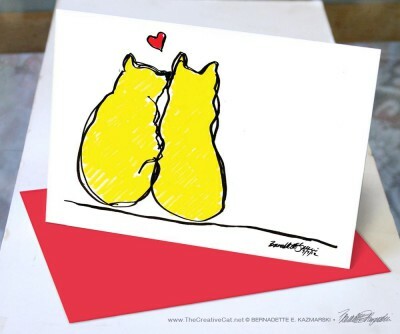 I also carry seasonal cards for Valentines Day, Halloween cards—especially considering my household of five cats are all black and most of my fosters in the past year have been as well—and winter holiday cards for Christmas, Hanukkah and the winter season. We all have other celebrations, birthdays, anniversaries, graduations, and I have cards to be used for all of them. Along with the cards I already have commercially printed I am now offering custom printed individual or quantities of cards with an image chosen from one of my galleries. I try things out on my own veterinarian and others I know who work with the rescues and shelters I visit with cat fosters and placement, and who volunteer with the TNR clinic I work with. If they like these things, then I’ll offer them to other veterinarians and animal professionals too. That’s why the idea of a sampler box for animal professionals came to mind as I’d been planning one for retail customers. I’d planned for these boxes to include not only things professionals could use in day to day business but also things you could use to thank clients or vendors, things you use for yourself or give as gifts or donation items to shelter or rescue or other fundraiser. Sometimes they’ll be little experiments and I’ll be asking for feedback. I’ll be happy that you get to see art you may have never noticed, and little handmade goods that work so much better in your hands than a photo on your computer. 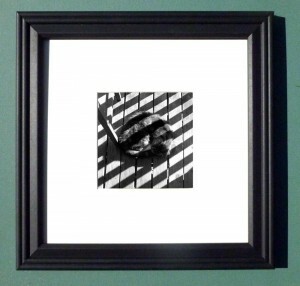 I can also make my own quality but inexpensive prints, and I am a picture framer, so I will be offering a line of framed prints and other wall art for the office as well as a gallery of prints to fit into standard frames I stock just for that purpose. 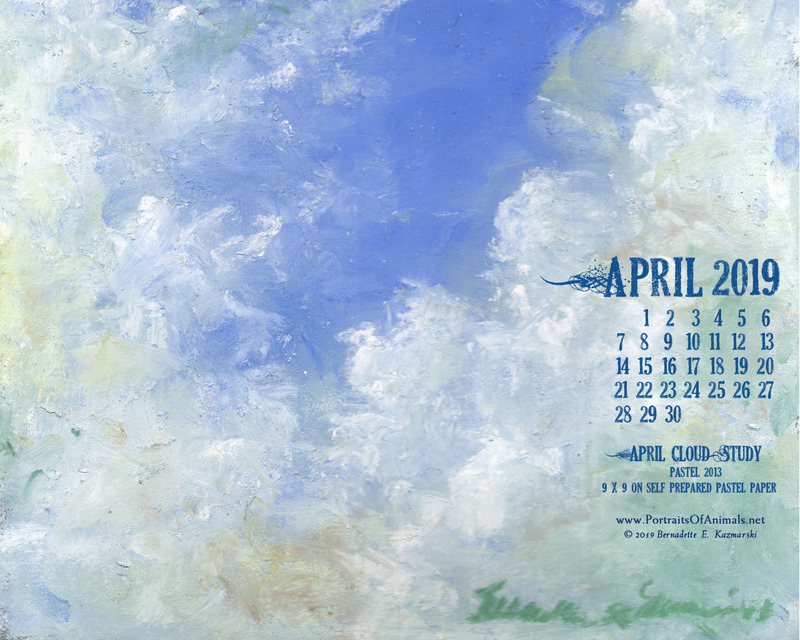 I also make and sell useful and decorative items such as calendars, planners mats, cups and holders and mousepads which can be used around the office or be given as gifts to employees or clients, or donated on your behalf to events that benefit animals. You don’t need to set up an account to receive your discount or to sign up for a sampler box. If you want to receive the professional discount you only need to contact me before you order, confirm your business, and I will give you a one-time coupon code for ordering. But if you do set up an account your order will reflect your professional discount automatically and your purchases will accrue for customer loyalty offers and discounts. I promise I won’t bombard you with emails. Quarterly newsletters featuring new sympathy or greeting cards and a few other items is quite enough. Use the signup form below. E-newsletters are addressed from “The Creative Cat”. Thank you for visiting and considering my creations to use in your business.